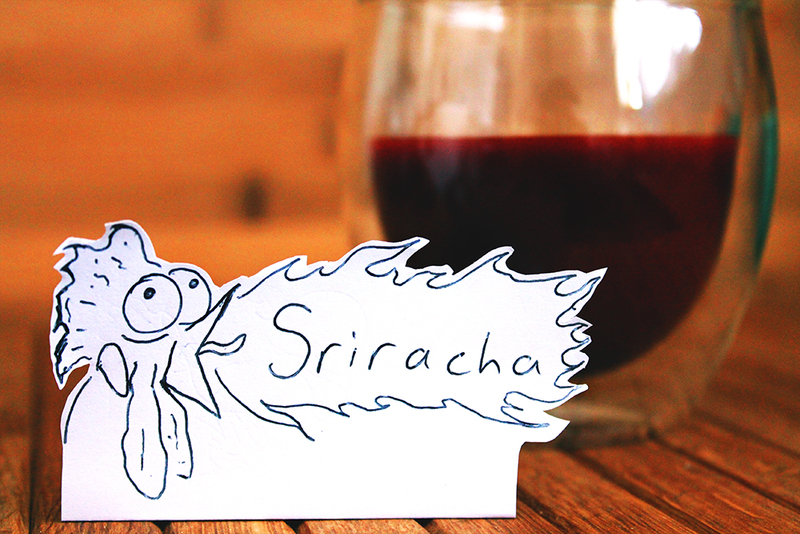 Sriracha is a Thai chili sauce (named after the city, Sri Racha, obviously), that’s made from chili, garlic, vinegar, salt and sugar. Most people know it as the sauce with a rooster on the bottle, but that’s just a brand of the epic sauce – yup, it’s a generic name. 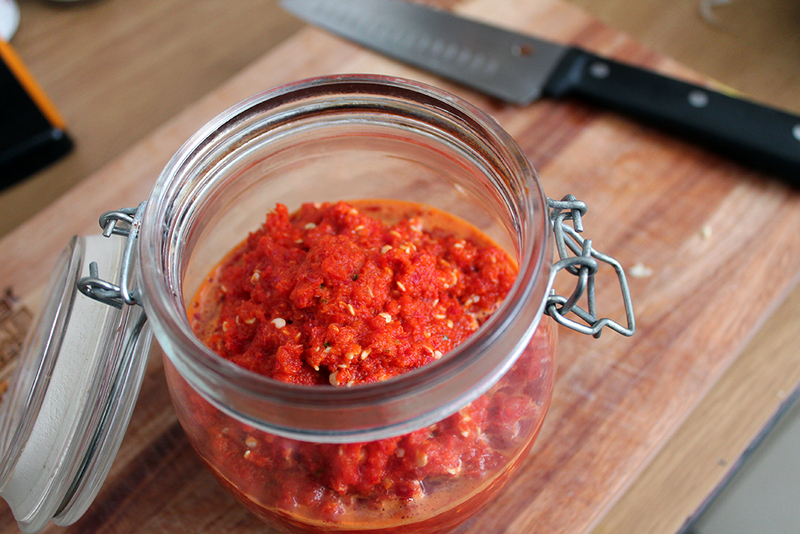 Red chilies – I used about half a kilogram. I’m not entirely sure what chili I used. I wanted to try out the recipe and not write a scientific paper damnit! Garlic – 4 or 5 cloves worked well. 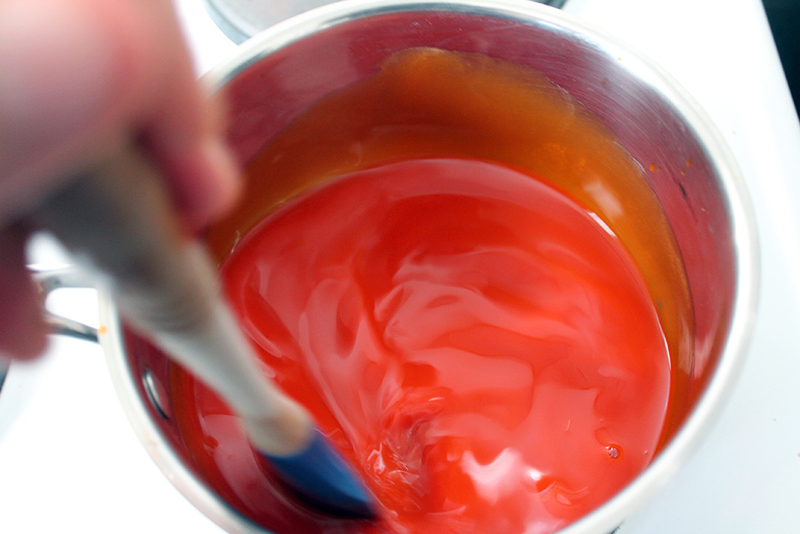 Don’t worry too much about the harshness because it’ll mellow out a bit when you reduce the sauce later. Water – depending on what’s needed. 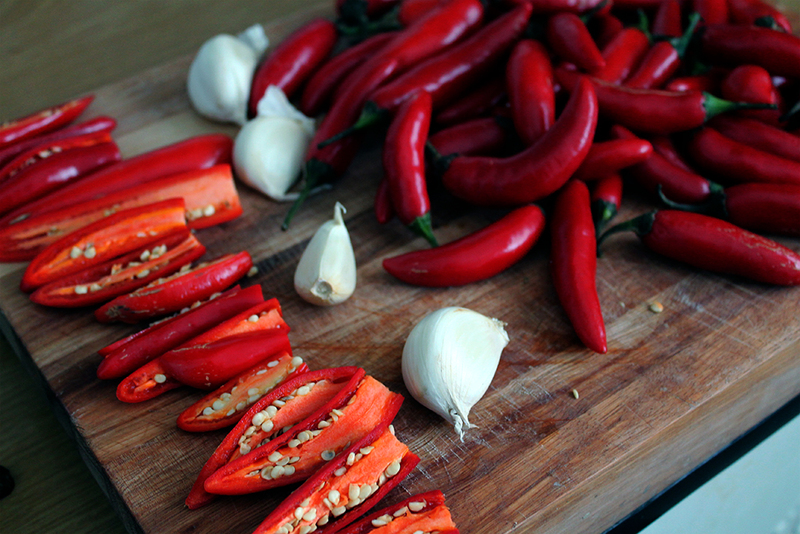 Cut up the chilies, mainly to make sure none are bad inside, and remove the stem. Add everything, except the vinegar, to a blender. Blend it all. While blending you can add some water so that it forms a slurry. 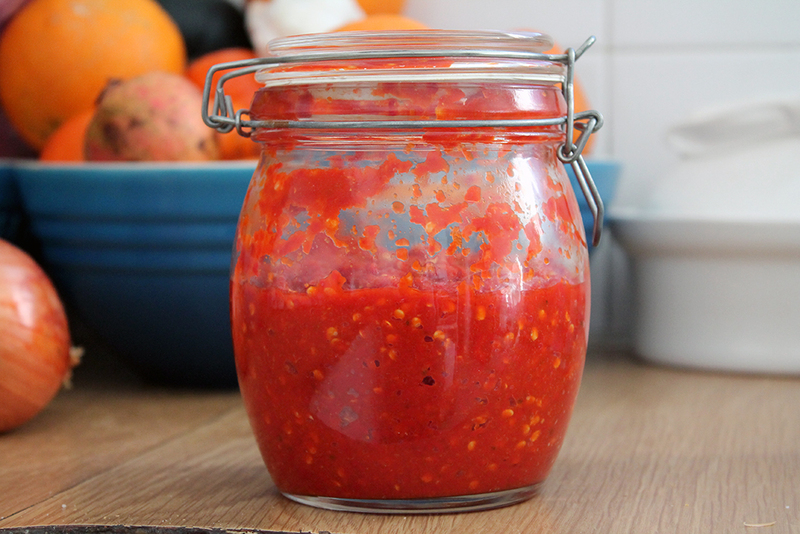 Pop it in an airtight container and leave it for a week at room temperature, out of direct sunlight. It will foment a bit. Give it a stir every day. After a week, add the vinegar. Strain in through a fine cloth – This stuff is gold, so get as much of it as possible. Once it’s at the consistency you want, eat it all. It’s pretty great, and because it’s fermented a bit, there aren’t really “after effects”.